Prime Minister Najib Razak may do away with elections so that he can rule the country permanently if he wins the coming general election, warned Dr Mahathir Mohamad. 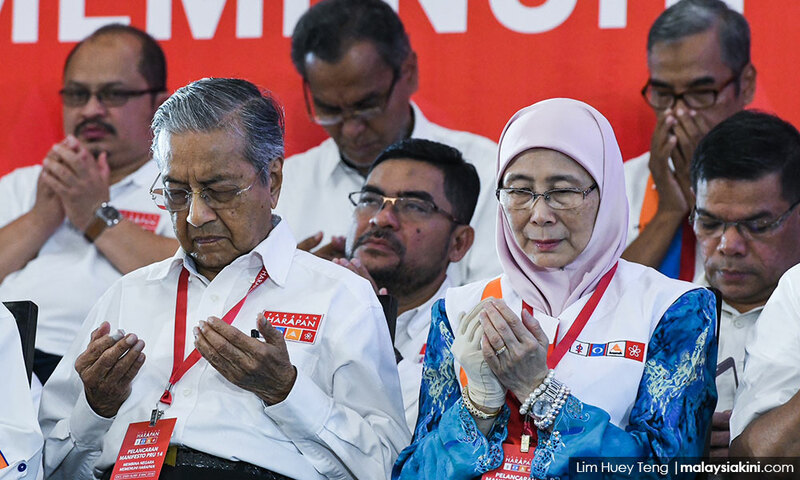 At the launch of Pakatan Harapan’s election manifesto yesterday, Mahathir mused that the government may possibly amend the Federal Constitution to abolish elections. "We joke a little, but we are in a situation that is worrying. “If we do not work hard, we will lose (in the coming election)," the Harapan chairperson said.